Contest: P&G - Enter for your chance to WIN a Spring beauty prize pack. 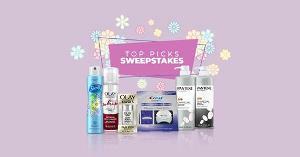 P&G - Enter for your chance to WIN a Spring beauty prize pack. Prize: You could win Olay, Pantene and more in this month’s prize pack. The ARV of the prize is $160 CAD. What you must do to enter: Simply sign into your P&G account,or make one,if you do not have one..and answer a couple short questions.